Choosing a light bulb can be challenging because there are so many options at the store. 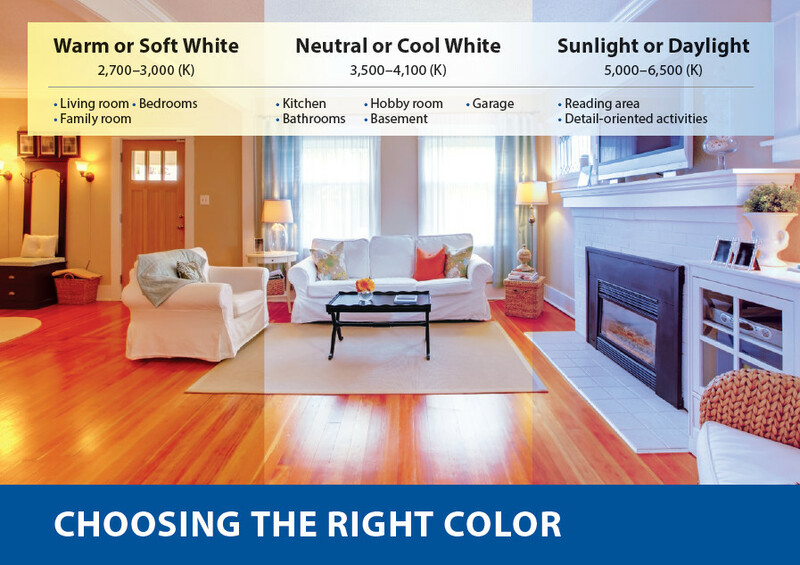 This week, we’re providing information on how to choose a bulb and calculate lighting savings when you upgrade to a high-efficiency product. 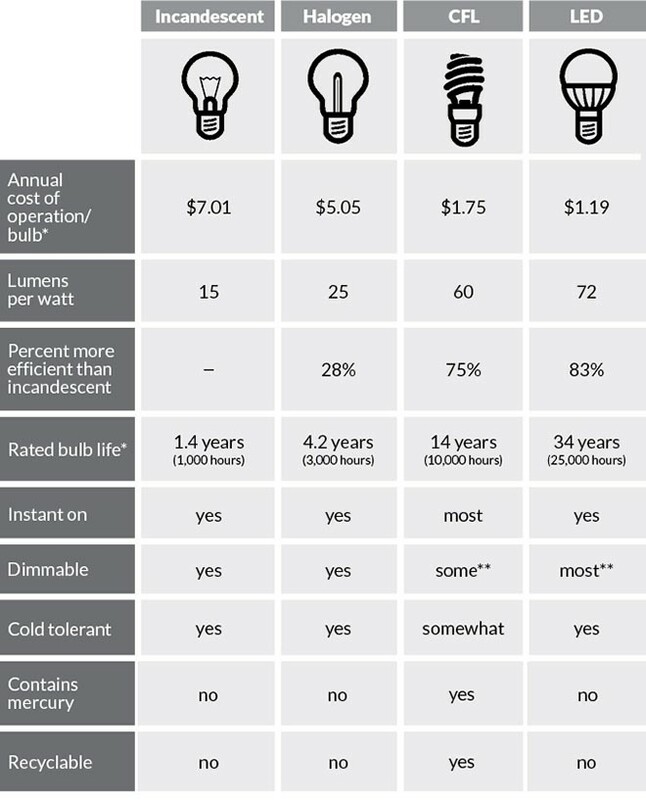 Annual operating costs vary between bulb types and choosing energy efficient options can significantly reduce household lighting costs. Did you know that replacing an incandescent bulb with an LED can save, on average, over $5.00 a year per bulb? And many LEDs are rated for 20 years or more, reducing future replacement costs. 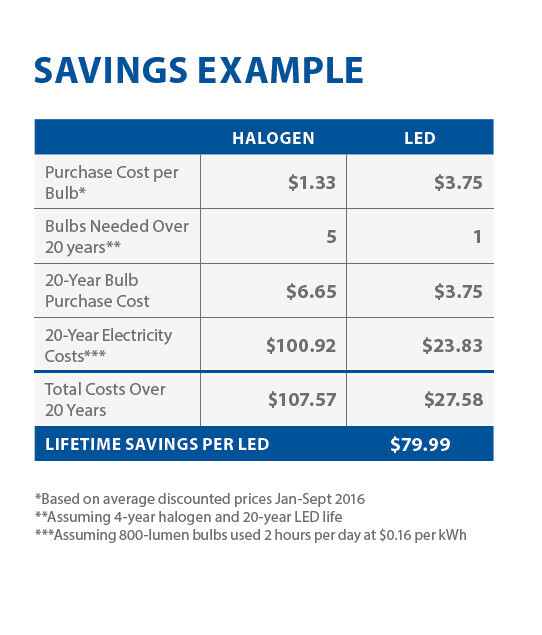 The chart below compares the characteristics of halogens and LEDs and shows the savings possible when choosing the more efficient option. When purchasing an LED the next time a bulb burns out in your home, remember that Efficiency Maine discounts LED bulbs at major retailers and hardware stores across the state. Click here to find a list of the best prices on LED bulbs. Or click here to learn more about bulb features, including brightness and efficiency as well as options for color, shapes, and bulb base types.